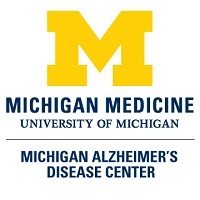 Taking advantage of the University of Michigan’s deep infrastructure in dementia and aging research, the Michigan Alzheimer’s Disease Center fosters and enhances innovative research in Alzheimer’s disease and related dementias toward better understanding of, and eventual preventive treatment for, these devastating diseases. The Michigan Alzheimer’s Disease Center is a truly regional Alzheimer’s Disease Core Center linking three universities across the state of Michigan – University of Michigan in Ann Arbor, Wayne State University in Detroit, and Michigan State University in Lansing and Grand Rapids. Our impact as a new Alzheimer’s Disease Core Center will extend far beyond the University of Michigan campus. The regional presence of an ADCC that formally links efforts at all three major Michigan universities will provide a critically important statewide resource for researchers, trainees, health care professionals and the broader public. Led by Director Hank Paulson, MD, PhD, the administrative core is responsible for creating and implementing structural improvements within the center while managing staffing, financial and research related resources. The AC helps to sustain the wide range of research studies and programs supported by the MADC. Dr. Paulson directs the MADC, working closely with MADC staff to define and implement the diverse initiatives through which the center fulfills its three-part mission. He joined the Center as Associate Director in 2009 and assumed Directorship in 2011. He has worked for more than twenty years on degenerative brain diseases, both inherited and acquired. As a neurologist and neuroscientist, Dr. Paulson is deeply committed to translating findings from the research bench to the patient bedside. Toward that goal, he is focused on building connections between scientists, clinicians and the public, not only across the University of Michigan campus but also across the state of Michigan. He received his MD and PhD degrees from Yale University School of Medicine and his Neurology training at the University of Pennsylvania. Dr. Giordani is a Chief of Psychology, and a tenured Professor in the Psychiatry, Neurology, and Psychology Departments as well as the School of Nursing. He is a University Faculty Ombuds at the University of Michigan. Associated with the MADC for over 25 years, Dr. Giordani has a longstanding history of connecting with the community to promote a better understanding of Alzheimer’s disease and related conditions. He has served on the Executive Board of the Alzheimer’s Association, Michigan Great Lakes Chapter (MGLC) since 2007 and has been both its Board Chair and National Representative, as well as a member of the national Association’s Assembly Steering Committee. His research initiatives focus on a cross-cultural perspective on the early assessment of cognitive and behavioral changes associated with medical illness and the interaction of cognition and mobility across the life-span. Dr. Giordani completed his MA and PhD in Clinical Psychology at the University of Virginia and received his postdoctoral training in Clinical and Research Neuropsychology at the University of Michigan. Nancy oversees the MADC daily operations and is responsible for administrative, financial and human resources activities. She splits her time in providing administrative and financial management of both the Udall Center of Excellence for Parkinson’s Disease Research and the MADC. Nancy earned her BA degree from Michigan State University. 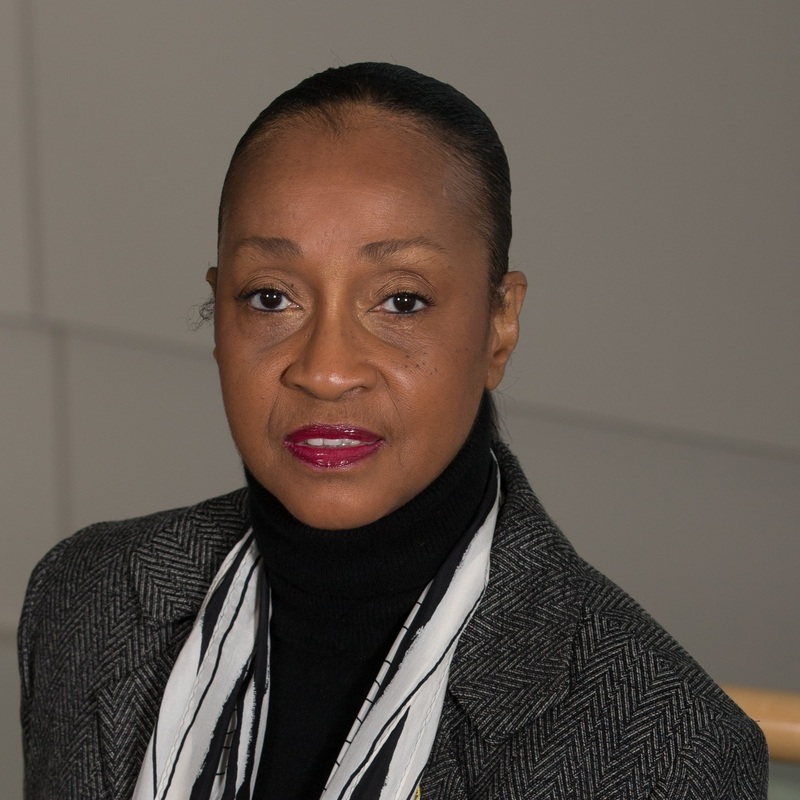 She has an outstanding record of service, having dedicated nearly thirty years of her career to the University of Michigan in various positions in the Medical School. Arijit is the MADC’s Research Administrator. He has over 10 years experience managing neurodegenerative clinical trials and longitudinal research projects at the Michigan Alzheimer’s Disease Center. Ari's expertise lies in clinical research protocol management and working with cross-generation populations. He has a deep understanding of highly intricate grants that involve multiple investigators at multiple universities, complex budgets, and multiple sub-awards. Ari possesses all of these skills and is recognized by his peers for his ability to bridge the gap between research budgeting, research operations planning and execution of the research strategy at the MADC. He is an excellent communicator, emphasizing creative and dynamic strategies for multicultural, cross-generational and multipurpose understanding of research within our Center. Ari is a key driver of our Center’s goals. He earned his Bachelor’s degree in Clinical Psychology and Counseling at Richmond University, London, UK, and studied Cognitive Psychology at the post-baccalaureate level at McGill University in Montreal, Quebec, Canada. He is also a Certified Clinical Research Professional (SoCRA). The clinical core, led by Benjamin Hampstead, PhD, Judy Heidebrink, MD, and Bruno Giordani, PhD, oversees the wide range of research studies supported by the MADC and creates new opportunities for innovative and cutting edge research. There are currently 23 funded studies and this number is expected to increase. The CC works with the DMSC and OR Core to develop materials for research dissemination into everyday patient care. Dr. Hampstead joined the U-M faculty in September 2014 as an Associate Professor in Psychiatry and Staff Neuropsychologist in the Ann Arbor VA Healthcare System. He is the Clinical Core Leader at the MADC. Dr. Hampstead is an expert in functional imaging and nonpharmacological approaches to enhance age-related memory function (e.g., cognitive rehabilitation and direct brain stimulation). Through his appointment in the Ann Arbor VA Healthcare System, he is well-positioned to ensure that our older veterans have access to cutting-edge research and clinical procedures. 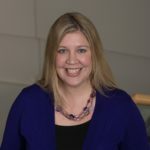 Dr. Heidebrink is a Richard D. and Katherine M. O’Connor Research Professor and has been affiliated with the Michigan Alzheimer’s Disease Center since 1995, when she began her fellowship training in Geriatric Neurology. Her clinical and research interests focus on improving the diagnosis and treatment of Alzheimer’s disease and related disorders. Dr. Heidebrink leads the University of Michigan’s participation in the Alzheimer’s Disease Neuroimaging Initiative (ADNI). This landmark study uses brain imaging and other biomarkers to evaluate the onset and progression of Alzheimer’s disease. ADNI data support the belief that brain changes occur many years before symptoms of Alzheimer’s disease emerge. ADNI techniques will soon be used to identify persons with very early Alzheimer’s pathology, in order to study therapies that might halt the disease even before symptoms appear. Judy attended medical school at the University of Texas Southwestern and received her Neurology training at the University of Michigan. Associated with the MADC for over 25 years, Dr. Giordani has a longstanding history of connecting with the community to promote a better understanding of Alzheimer’s disease and related conditions. He is the Chief of Psychology, and a tenured Professor in the Psychiatry, Neurology, and Psychology Departments as well as the School of Nursing. He is a University Faculty Ombuds at the University of Michigan. He has served on the Executive Board of the Alzheimer’s Association, Michigan Great Lakes Chapter (MGLC) since 2007 and has been both its Board Chair and National Representative, as well as a member of the national Association’s Assembly Steering Committee. His research initiatives focus on a cross-cultural perspective on the early assessment of cognitive and behavioral changes associated with medical illness and the interaction of cognition and mobility across the life-span. Dr. Giordani completed his MA and PhD in Clinical Psychology at the University of Virginia and received his postdoctoral training in Clinical and Research Neuropsychology at the University of Michigan. Dr. Andrea Bozoki is an Associate Professor in the Department of Neurology and Department of Radiology at Michigan State University. The focus of her individual scholarship has been the exploration of cognitive function during the transition between healthy aging and early dementia. In particular, she is interested in the structure-function relationships underlying the evolution of de novo Mild Cognitive Impairment and Alzheimer’s disease, as well as understanding what factors can prevent or allay cognitive decline during aging. Her work has utilized primarily neuropsychometric testing along with functional and structural MR imaging. More recently, she has included amyloid and FDG-PET data to examine the relative advantages of using a broader multi-modal imaging approach to biomarker development. Dr. Haacke is an original pioneer of MR angiographic imaging, fast imaging and cardiovascular imaging, and more recently has developed a powerful new method for imaging veins, micro-hemorrhaging and iron called Susceptibility Weighted Imaging (SWI). His research has focused on studying the role of magnetic field variations in the human body and applying the results to clinical translational research. SWI may in fact become an important biomarker not just for different forms of iron but in investigating the etiology of a number of key diseases such as aging, multiple sclerosis, stroke and trauma. More recently his work has focused on extending SWI to quantitative susceptibility mapping (QSM) as a means to map iron and oxygen saturation. Dr. Persad is the Director of the Neuropsychology Clinic at the University of Michigan. This clinic conducts neuropsychological assessments on over 3,000 patents a year with a range of medical, psychiatric and neurological disorders across the lifespan, and houses a large accredited postdoctoral fellowship training program. Stephen is responsible for a variety of activities of the MADC Clinical Core. He manages the MADC core study, the University of Michigan Memory and Aging Project (UM-MAP) which includes direction of study related activities and regulatory issues. Stephen also manages collaborative efforts between the University of Michigan and other research institutions. Stephen received Master’s and Bachelor’s degrees from Eastern Michigan University. Since 2008, Dr. Rose has assisted the MADC with connecting to minority communities to provide education about the risk factors associated with dementia and the benefits of participating in research. She has successfully enhanced minority inclusion in our MADC supported studies through linkages at local churches, sororities and other social organizations. Dr. Rose received her MSW and PhD from Clark Atlanta University in Social Work Planning and Administration, and her undergraduate nursing degree from Kennesaw University in Atlanta, GA.
Theresa Gierzynski joined the MADC in July 2018 as Research Coordinator. Her role includes administering neuropsychology assessments, recruiting for studies, and participant education. Theresa has been a professional in the field of aging and dementia for nearly a decade. 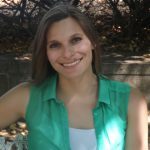 She has formerly worked as a Research Technician at Wayne State University’s Institute of Gerontology on several research projects and was a lead author on a peer-reviewed publication. 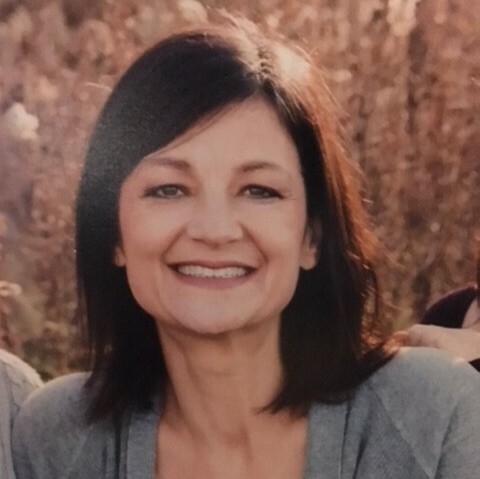 Theresa was also employed as a Program Coordinator at the Alzheimer’s Association – Greater Michigan Chapter and provided education and outreach to healthcare professionals, family caregivers, and those living with dementia. 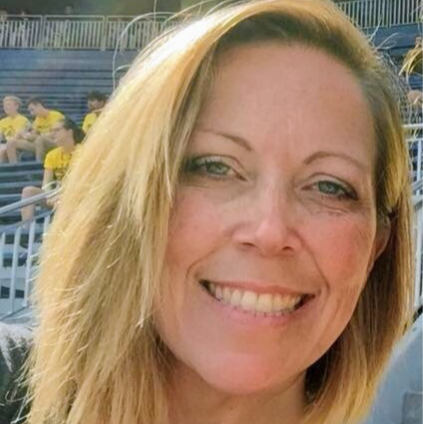 Theresa Gierzynski earned her Bachelor’s degree in Psychology from Madonna University in 2011 and her Master of Social Work degree from Wayne State University in 2018. 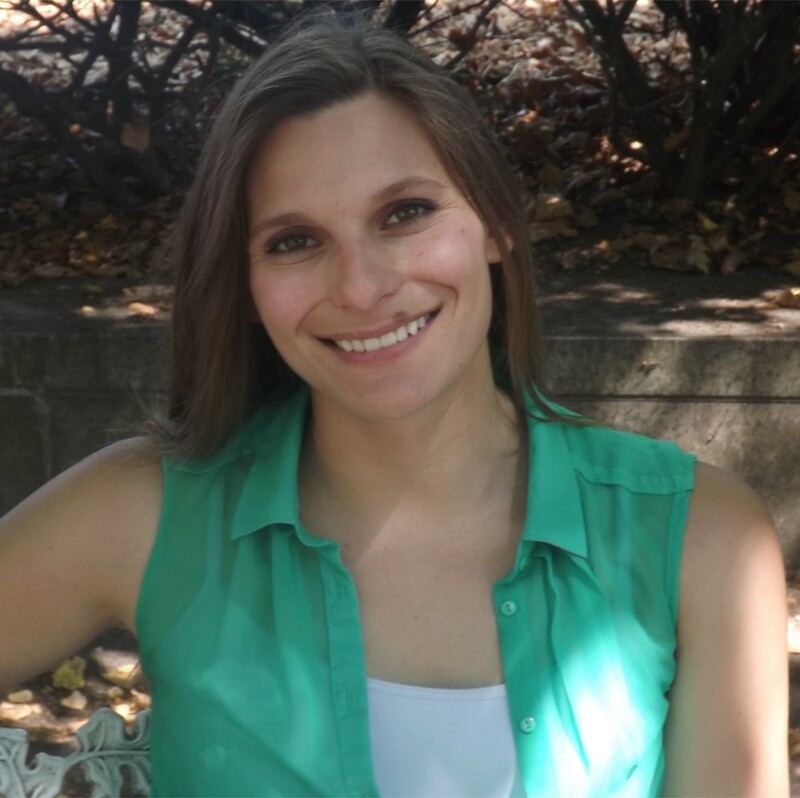 Rachael Snyder joined the Michigan Alzheimer’s Disease Center as a research coordinator in July 2017. Her role includes recruiting and scheduling research participants as well as administering neuropsychological assessments. Rachael earned her Bachelor of Science in Spanish and Biopsychology, Cognition, and Neuroscience from the University of Michigan. LordZaid Inpower has been with the MADC since July 2018. As Research Coordinator, his role includes studies recruitment and neuropsychological assessment administration. Zaid also assists with the education of current and potential study participants about the various risks of dementia and the benefits associated with participating in research with MADC. Zaid has been in the healthcare field for over a decade and has experience ranging from Health advising to Phlebotomy and also Quality control. Zaid received his Bachelor’s Degree in Health Studies with a minor in Psychology from Michigan State University and completed his Phlebotomy Training at Lansing Community College. 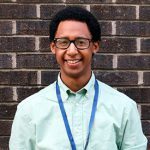 Yonatan Kahsay joined the Michigan Alzheimers Disease Center as a research assistant in June 2018. 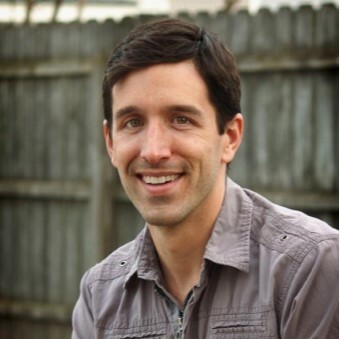 His roles include recruiting/scheduling participants and administering neuropsychological assessments. Yonatan received his Bachelors of Science in Psychology and Philosophy at Central Michigan University. 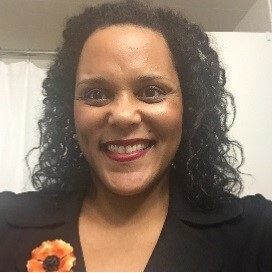 Marie Robinson joined the MADC in August 2018. 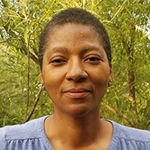 Prior to joining the MADC, Marie worked as Community-Based Research Nurse and Outreach Liaison for the Michigan Institute for Clinical & Health Research’s Clinical Research Unit (MICHR/MCRU). Her role at the MADC includes performing phlebotomy and/or collecting saliva, and processing the biospecimen samples for research repositories. She earned her Bachelor’s degree in nursing (BSN) from the University of Michigan. 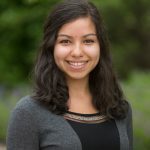 Marisa Kelly joined the Michigan Alzheimer's Disease Center as a research assistant in June 2018. Her role includes administering neuropsychological assessments and serving as IRB/Regulatory Affairs support. 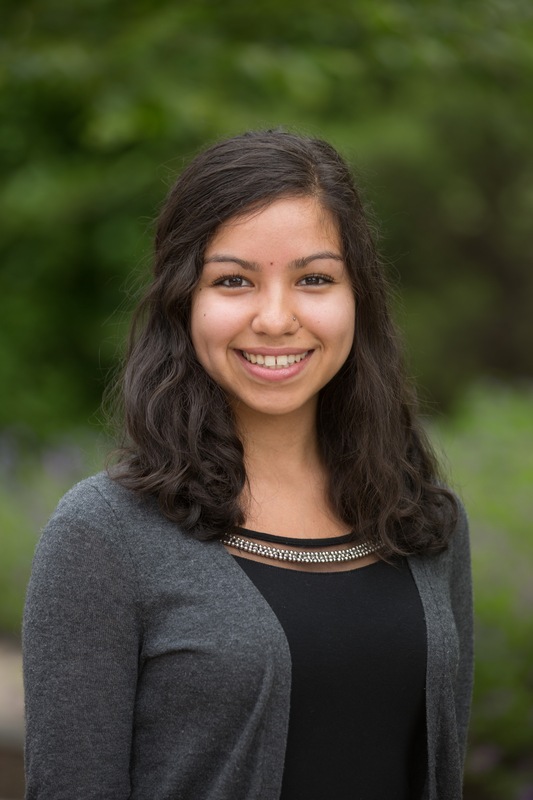 Marisa earned her Bachelor of Arts in Psychology from Michigan State University in 2014 and is currently completing her second year as a Premedical Postbaccalaureate through the University of Michigan Medical School's MEDPREP program. 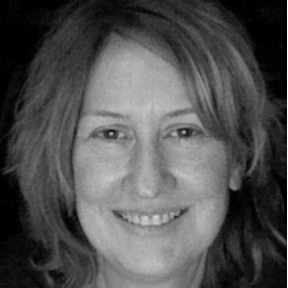 Betsy Posby joined the MADC in August 2018. Her role includes administering neurological assessments, recruiting for studies, and providing education to research participants. Betsy started her nursing career as a University of Michigan nursing student and is excited to be back working with Michigan Medicine. Betsy spent six years as a research RN at the Rush Alzheimer’s Disease Center in Chicago, IL. She spent the second half of those 6 years completing her Doctorate in Nursing Practice at Rush University, studying to be an Adult/Gerontology Nurse Practitioner. 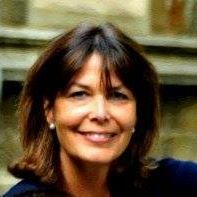 As a nurse practitioner, Betsy has worked in palliative care, long-term care and home health. Dr. Burant directs a research program that integrates molecular phenotyping (including metabolomics) with dietary, clinical and behavioral phenotypes to understand the development of obesity, insulin resistance and diabetes. He has a specific interest in intermediary metabolism and he has integrated metabolomics with other technologies to gain a more complete understanding of cellular metabolism. Dr. Burant directs the Michigan Regional Comprehensive Metabolomics Resource Core (U24), which is one of six NIH-funded metabolomics centers. At the MADC, he provides advice on the use of metabolomics profiling to gain insights into the pathophysiology of neurodegenerative diseases and the potential relationship to metabolic syndrome, obesity, diabetes and other metabolic states. David Burke, PhD, is a Professor of Human Genetics and a Clinical Core Consultant for the MADC. His research interests include the development of low cost, single nucleotide variant DNA and RNA testing methods which are employed by the MADC in genetic risk factor assessment. The robust methods are currently used in the laboratory to perform over ten thousand human, mouse, viral and bacterial SNP genotypes per year. Dr. Gülin Öz is an associate professor in the Department of Radiology who specializes in magnetic resonance spectroscopy (MRS). Dr. Oz graduated from Bosphorus University in Istanbul, Turkey with BS degrees in Physics and Chemistry and obtained her PhD in Biochemistry at the University of Minnesota. She continued with postdoctoral training at the Center for Magnetic Resonance Research (CMRR) where she joined the faculty as assistant professor in 2006. Here she also served as the MR Core Director of the General Clinical Research Center (GCRC) from 2005-2009. 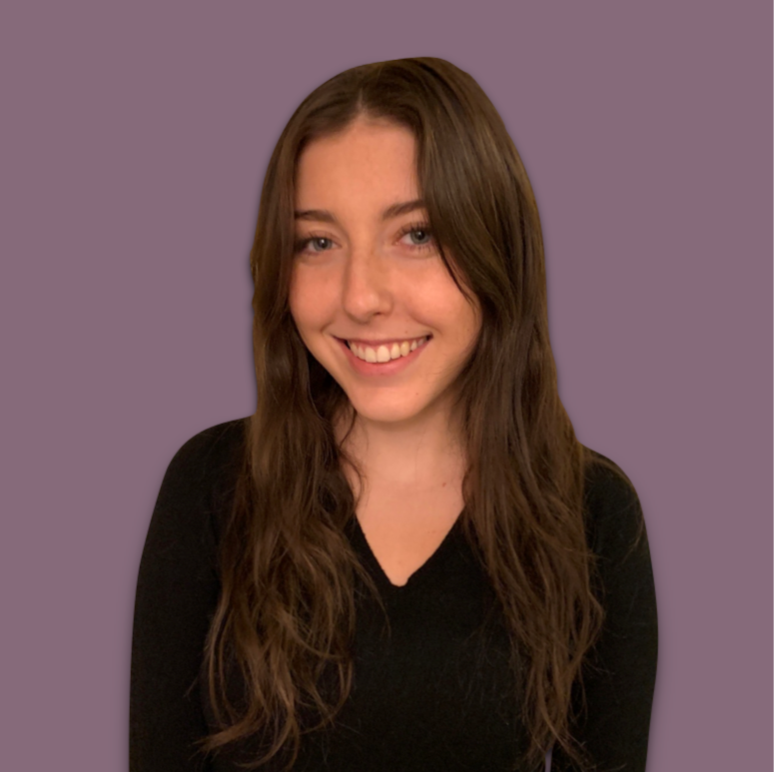 Rebecca Pantis joined the Michigan Alzheimer's Disease Center as a Research Coordinator in December 2018. Her role in the clinical core is to administer neurpsychological, cognitive, and behavioral assessments. Rebecca graduated from the University of Michigan with her Bachelors of Science in Biopsychology, Cognition, and Neuroscience. Kimberly Foxworthy joined the Michigan Alzheimer's Disease Center in January 2019. She works as both a phlebotomist in the clinical core and as a research assistant in the data core. Kimberly graduated Michigan State University in 2017 with a Bachelor’s of Science in neuroscience. She is currently in the process of applying to medical schools and hopes to one day become a Michigan physician. The Data Management and Statistical Core, led by Hiroko Dodge, PhD, and Ivo Dinov, PhD, helps maintain the productivity of the MADC by connecting all of the Cores, integrating data and helping to disseminate data to investigators. The DMSC will focus on predictive Big Data analytics, taking advantage of the unique investigators and infrastructures available at the University of Michigan. Dr. Dodge is the Milton and Carolyn Kevreson Research Professor of Neurology and Adjunct Research Professor of Neurology in the University of Michigan Department of Neurology. She is a Fellow in the Gerontological Society of America (GSA). She serves as a statistical editor for Alzheimer’s & Dementia (the official journal of the Alzheimer’s Association) and a senior associate editor for Alzheimer’s & Dementia: Translational Research and Clinical Advancements, a sister journal of Alzheimer’s & Dementia. She also serves on the statistical editorial board for International Psychogeriatrics. Dr. Dodge joined the MADC as the Data Core Leader in 2010. 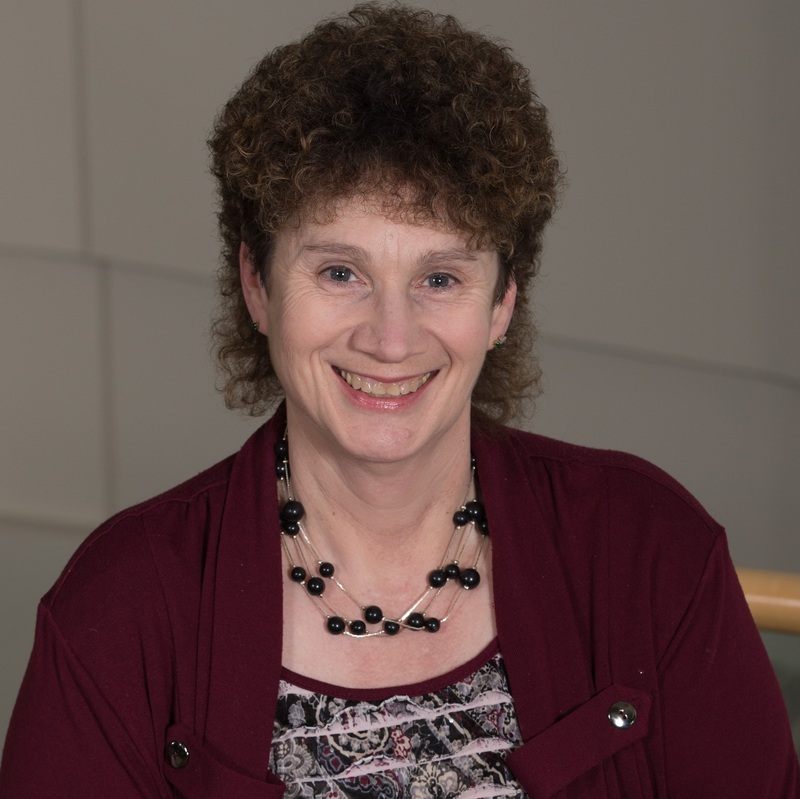 She has been successfully directing two Alzheimer’s Disease Centers’ Biostatistics and Data Cores: the Michigan ADC and the NIA-funded Layton Aging and ADC at Oregon Health & Science University, Portland, Oregon. These dual positions allow her to facilitate collaborations between the two centers. Dr. Dodge’s research interests are diverse and include a) distinguishing normal cognitive aging from pathological cognitive decline, b) testing whether stimulation through social interactions can improve cognitive functions, c) clinical trial methods, and d) examining lifestyle and environmental factors that lead to healthy cognitive aging. A native of Japan, she has a longitudinal cohort in Okinawa, Japan and collaborates with the Okinawa Centenarian Study group. To read more about Dr. Dodge, click HERE. Ivo Dinov, PhD, is an Associate Professor of Health Systems and Bioinformatics at the University of Michigan. He is also the Director of the National Statistics Online Computational Resource (SOCR). Dr. Dinov is an expert on statistical computing, high-throughput data analytics, analysis of high dimensional imaging datasets, and health science and STEM education. 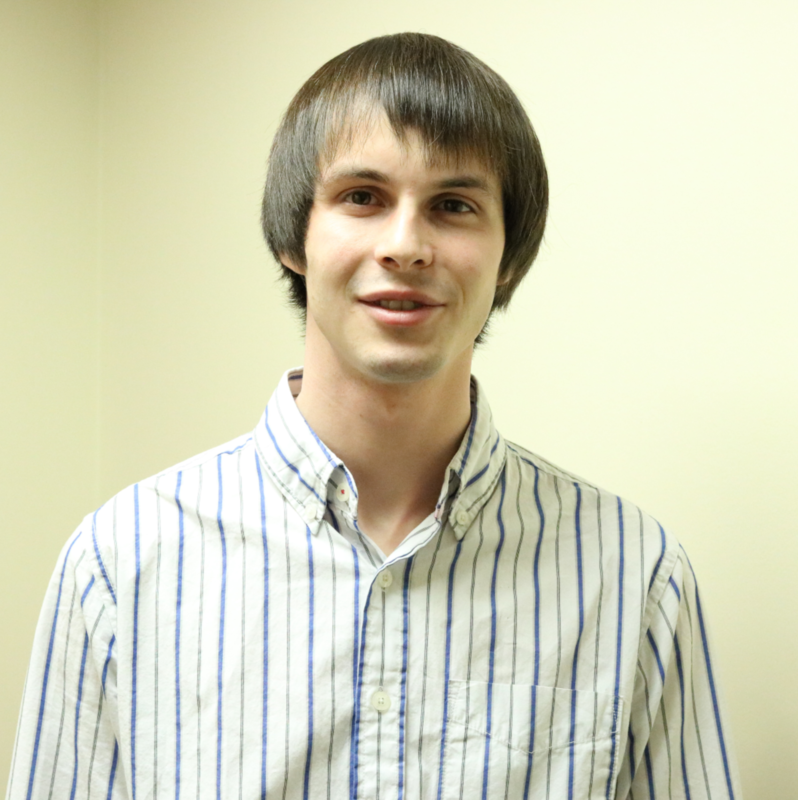 At the MADC, Dr. Dinov will assist in data analytics and statistical modeling efforts. He will also provide expertise in fusion of neuroimaging, clinical, phenotypic and genetics data. Sherry has made her career at the University of Michigan for over forty years and has been a vital member of the MADC team for more than thirty of those years. Sherry is involved in creating the secure data entry system. She ensures that all data collected from MADC supported studies remain confidential and ready for analysis by research investigators who are interested in enhancing our understanding of memory loss and dementia. She is very interested in spending time with the elderly to grow from their years of wisdom and their wonderful sense of humor. Nic joined the Michigan Alzheimer's Disease Center in February of 2018. Nic is a database specialist working with the Data Management and Statistical Core team and Clinical Core team. He helps ensure the integrity and security of high-quality data collected and managed by the Michigan Alzheimer's Disease Center. Prior to joining the Michigan Alzheimer's Disease Center, Nic managed and analyzed large volumes of sensitive educational measurement data in the language assessment field. He earned a Master's degree in Applied Linguistics at the University of Illinois at Chicago. 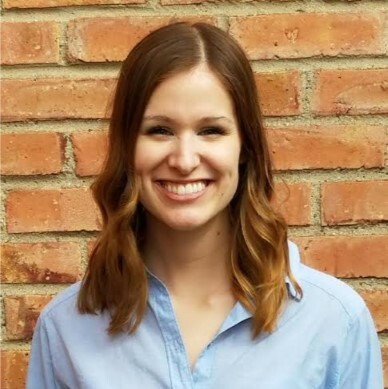 Katelyn McKenzie joined the Michigan Alzheimer’s Disease Center as a research assistant in August 2018. She is part of the Data Core, where her role includes data entry and other administrative tasks. 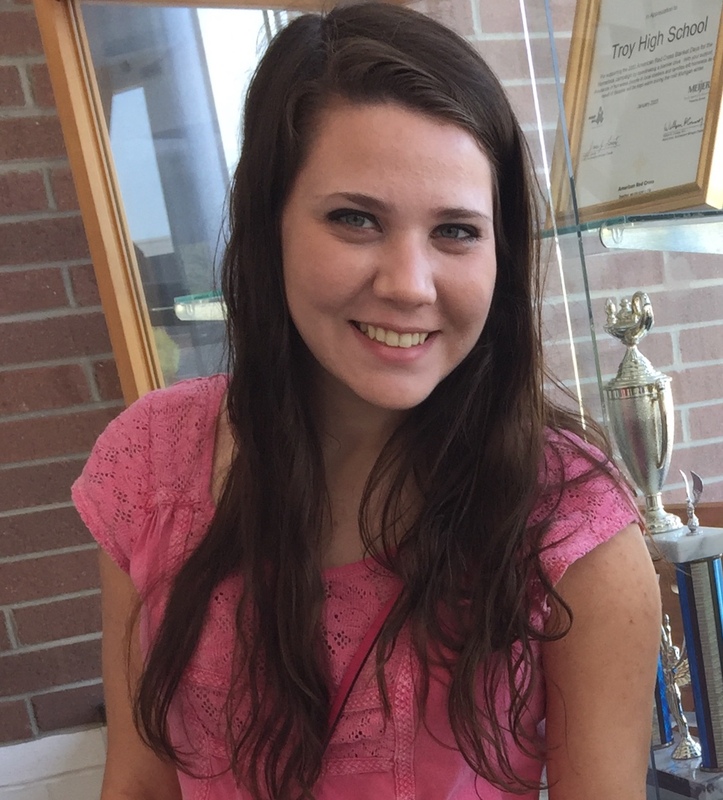 Katelyn earned her Bachelor of Science in Neuroscience from the University of Michigan. Dr. Guan is Assistant Professor in the Department of Computational Medicine & Bioinformatics at the University of Michigan. She received her PhD training in functional genomics at Princeton University followed by a brief postdoctoral fellowship, also at Princeton. In 2011, she joined the University of Michigan where her research as an independent investigator focused on developing generic, first-principle computational solutions to large-scale biomedical data. She has created seven best-performing algorithms in the past three years, breaking the record of DREAM’s (Dialogue of Reverse Engineering and Methods) 10 years of history. She has best-performing algorithms in areas such as population genetics, DNA variation, transcriptome data, proteomic data, medical imaging, biochemical structures, cancer, rheumatoid arthritis, and most notably, Alzheimer’s Disease and cognitive impairment. Dr. Ye is an Associate Professor of Computational Medicine and Bioinformatics at the University of Michigan. For the last thirteen years, he has been conducting fundamental research in machine learning and data mining, developing computational methods for biomedical data analysis, and building informatics software. He leads the development of the SLEP (Sparse Learning with Efficient Projections) package, which includes implementations of large-scale sparse learning models, and the MALSAR (Multi-tAsk Learning via StructurAl Regularization) package, which includes implementations of state-of-the-art multi-task learning models. Currently, there are about 4,500 active users from over 25 different countries. With close collaboration with researchers at the biomedical field, he has successfully applied these methods for analyzing biomedical data, including clinical image data and genotype data from Alzheimer’s patients. Dr. Koeppe is a Professor of Radiology at the University of Michigan and the Director of the PET Physics Section of the Division of Nuclear Medicine. His research interests center around the quantitative aspects of positron emission tomography (PET). Specific research areas include the development and implementation of tracer kinetic models for new and existing positron labeled radiotracers, development of optimal techniques for estimation of physiological quantities, and development and implementation of automated image analysis routines for use with PET. Another specific area of research is the use of PET cerebral blood flow activation studies to examine various cognitive and neurological functions of the brain. Other research interests include the correlation and comparison of information obtained from PET studies to that obtained from corresponding anatomic imaging procedures such as magnetic resonance imaging. Dr. Wiens is an Assistant Professor in Computer Science Engineering (CSE) at the University of Michigan. She currently heads the MLD3 research group. Her primary research interests lie at the intersection of machine learning and healthcare. The overarching goal of her research agenda is to develop the computational methods needed to help organize, process, and transform data into actionable knowledge. Kate Hanson joined the MADC in August 2018 working for the Data Core in Research Support. She earned a Bachelor’s double-major in Psychology and Theater & Drama from the University of Michigan and spent 15 years performing with the Wild Swan Theater and working a “day job” at the Ann Arbor News as a graphic designer. After spending time as a stay-at-home mom, she developed an interest in research and got her start with the wonderful staff here at the MADC. Kameron Kuzich, BA is graduate student at U of M in the Health Behavior Health Education program at the School of Public Health. 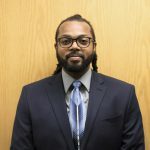 He grew up in Monroe, Michigan, and after completing hisBachelor degree at Eastern Michigan in 2017 in sociology, he is joining the Center, assisting with data entry, while continuing his education. The Neuropathology Core helps to maintain the UM Brain Bank and the Protein Folding Diseases Initiative. The NC is a team of experts with distinctive research strength that enables them to serve as excellent mentors. Resources from the NC foster studies of the underlying proteinopathies of dementias with the goal of translating discoveries into new therapeutic strategies. Andrew Leiberman, MD, PhD serves as core leader of the NC, with Scott Counts, PhD, as the MSU liaison for building Brain Bank resources in western Michigan. Additional investigators are Sami Barmada, MD, PhD, and Peter Todd, MD, PhD. Dr. Lieberman is MADC Neuropathology Core Leader, Abrams Collegiate Professor of Pathology, and Director of Neuropathology at the University of Michigan. He is internationally known for his research on the mechanism of inherited degenerative brain disorders. He is passionate about understanding how brain cells “handle” the abnormal proteins that accumulate in so many brain diseases including the dementias, so that we can design rational approaches to therapy. Dr. Lieberman received his MD and PhD degrees from the University of Maryland Medical School, and completed residency training in Anatomic Pathology and fellowship training in Neuropathology at the University of Pennsylvania. 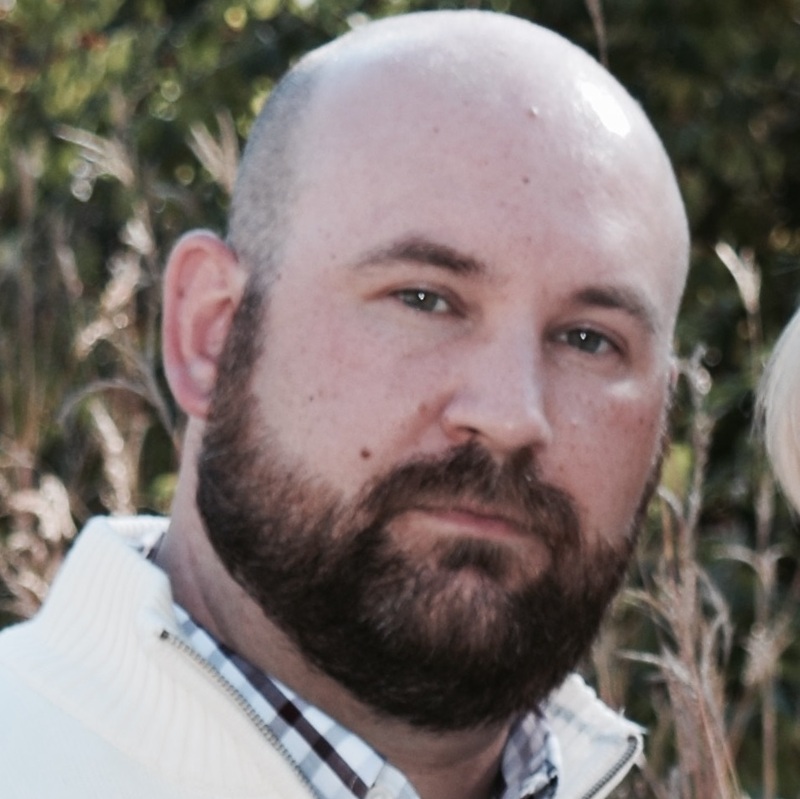 Matthew Perkins is the coordinator of the Michigan Brain Bank. He has been involved in research, specifically research of movement disorders, for over five years. Matthew coordinates the MADC’s brain autopsy services and collaborates with research groups across the University of Michigan campus. He is passionate about improving clinical care and research through his involvement in autopsy services. Matthew earned his Bachelor of Science in Brain, Behavior, and Cognitive Science from the University of Michigan. For more information about the Michigan Brain Bank, visit the website. Dr. Vikram Shakkottai is an Assistant Professor of Neurology at the University of Michigan School of Medicine. He is currently the director of the Michigan Brain Bank. He received his MBBS from Christian Medical College in Vellor, Tamil Nadu, India and completed his residency at Barnes-Jewish Hospital in St. Louis, Missouri. His interests include investigating changes in cerebellar physiology in ataxic disorders and determining whether ion channel modulators have a role in the treatment of movement disorders. Dr. Barmada currently serves as Assistant Professor of Neurology at the University of Michigan. He was recruited from UCSF to the University of Michigan in 2013. Dr. Barmada divides his time between the laboratory, Cognitive Disorders Program, and the classroom. In his investigations of molecular mechanisms in FTD including TDP43 proteinopathies, Dr. Barmada employs automated microscopy. He treats patients in the Cognitive Disorders Program, with an emphasis on individuals with dementia and motor neuron disease. Dr. Barmada is also an Assistant Professor of Neurology. Dr. Counts is an Associate Professor of Translational Science & Molecular Medicine at Michigan State University. The goal of his research is to understand the molecular pathogenic mechanisms of selective neuronal vulnerability in the preclinical and prodromal stages of Alzheimer’s disease (AD). His pre-doctoral training with Dr. Allan Levey at Emory emphasized the importance of combining carefully controlled human tissue research with cellular and molecular modeling to reveal potential pathways underlying AD progression. He is the MSU liaison for the UM ADC Neuropathology Core and Brain Bank. His duties include generating awareness and providing training to MSU investigators in the procurement and use of postmortem tissue and bio-specimens from UM for dementia research. He also serves as the MSU representative to the Brain Bank Tissue Request Committee. Dr. Camelo-Piragua is a Clinical Assitant professor in the Neuropathology Division at the University of Michigan. She received her M.D. from the University of Antioquia in Medellin, Colombia and did her post-doctoral research fellowship at the Center for Neurologic Disease, Brigham and Women’s Hospital, Boston, MA where she was involved in the study of molecular signature of multiple sclerosis and analyzing the effects of histone deacetylase inhibitors on murine models of multiple sclerosis and amyotrophic lateral sclerosis. She received further training in Neuropathology at Massachusetts General Hospital, Boston, MA, from 2008-2010. In addition to her clinical and research interests, Dr. Camelo-Piragua enjoys teaching of neuroanatomy and neuropathology to medical students, residents and fellows. Dr. Camelo-Piragua is interested in developing information technology tools that help brings the teaching of neuropathology to a broader audience. Dr. Camelo-Piragua is member of American Association of Neuropathologists, European Confederation of Neuropathological Societies, United States and Canadian Academy of Pathology, the College of American Pathologists and is board certified in Anatomic and Clinical Pathology and in Neuropathology. Dr. Venneti is a clinician-scientist who expertise is in Neuropathology and the biology of brain cancer. 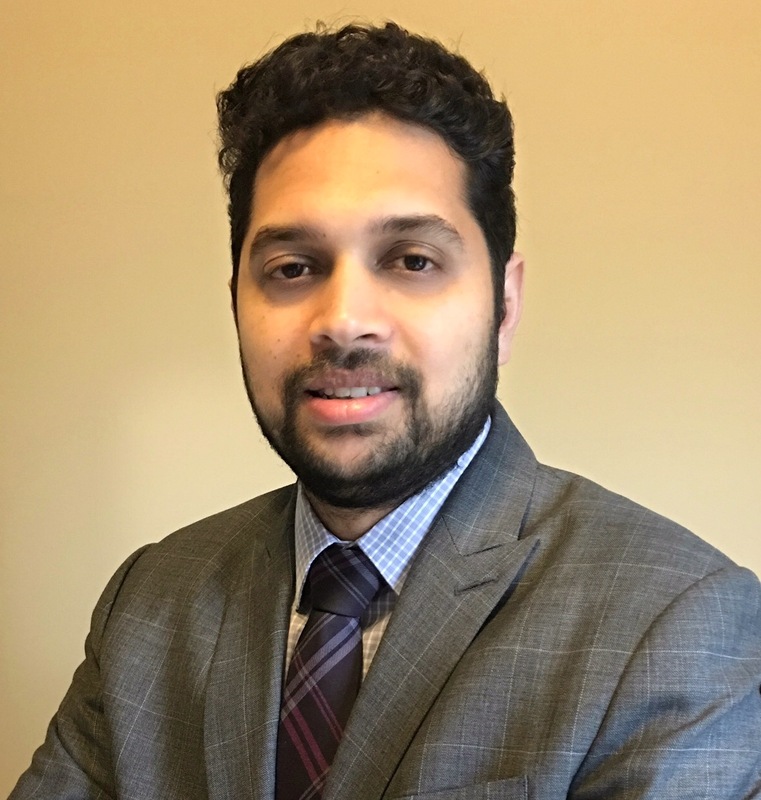 Dr. Venneti completed his residency in Anatomic Pathology and fellowship in Neuropathology at the University of Pennsylvania followed by postdoctoral work at the Memorial Sloan Kettering Cancer Center in New York. Dr. Venneti was recruited as a faculty member to the University of Michigan in November 2014. Dr. Venneti’s research interests lie in understanding the biology of brain tumors in adults and children. The projects in the lab are highly translational and focus on integrating epigenetics, cancer metabolism and in vivo imaging techniques to investigate pathogenic mechanisms in adult and pediatric brain tumors. These studies are based on Dr. Venneti’s clinical and research expertise enabling successful translation from the bench top to the bedside. He serves on the editorial board of Brain Pathology and the Journal of Neuropathology and Experimental Neurology. Dr. Venneti is committed to teaching, mentoring and training graduate and medical students and serves as course director for the Neuropathology microscopy course held in the fall of every year. An Assistant Professor of Neurology and the Bucky and Patti Harris Collegiate Professor in Alzheimer’s disease at the University of Michigan, Dr. Todd explores the molecular mechanisms in neurodegenerative diseases with a particular interest in repeat expansion diseases such as the recently discovered C9ORF72 expansion underlying frontotemporal dementia. Dr. Todd is also a staff neurologist at the Ann Arbor VA Medical Center. He has worked in the field of Fragile X research for almost 20 years. Shehroz Malik is a Michigan Brain Bank Laboratory Technician. He has been involved with the Michigan Brain Bank since the winter of 2017. 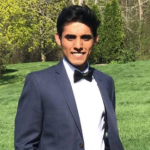 Shehroz plays an important role in distributing samples to Michigan Brain Bank collaborators across the University of Michigan campus and throughout the United States. He is earning a Bachelor’s degree in Cell and Molecular Biology & Biomedical Engineering from the University of Michigan with an expected graduation date in 2021. He is interested in learning about the brain anatomy and investigating the crucial factors of neurodegenerative pathology. Shehroz intends to attend Medical School and one day become a neurosurgeon. Taylor Richards is a Michigan Brain Bank Laboratory Technician. She has been involved with the Michigan Brain Bank since the spring of 2017. Taylor plays an important role in distributing samples to Michigan Brain Bank collaborators across the University of Michigan campus and throughout the United States. Taylor is earning her Bachelor degree in Biopsychology, Cognition, Neuroscience (BCN) from the University of Michigan with an expected graduation date in 2019. 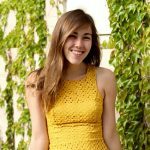 Julia is a Senior in the School of Public Health, and focuses on how human health and pathology is affected by our changing environment. She works alongside the Brain Bank Coordinator in collaborating with research groups that are studying Alzheimer’s Disease and related disorders. Her past research includes analyzing blood subpopulation DNA telomere lengths in Alzheimer’s patients. She also writes a health science column for the Michigan Daily that communicates science findings to the public. The Outreach and Recruitment Core leads education and outreach efforts in order to promote community participation in MADC research and educational activities. The OR Core, led by Scott Roberts, PhD, helps to maintain successful relationships with community partners across the state. Joan Ilardo, PhD of MSU and Nan Barbas, MD, MSW serve as OR Core Co-Investigators. 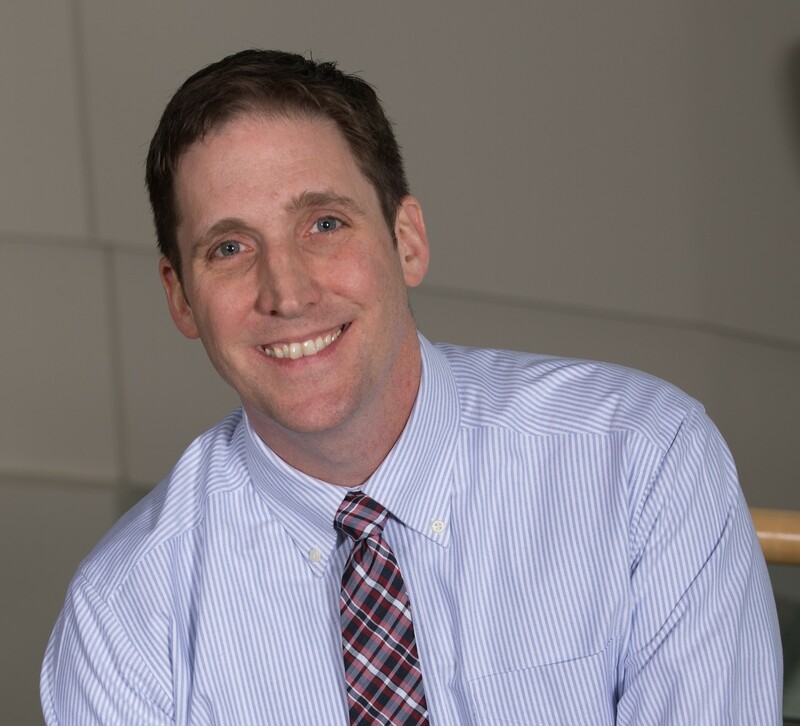 Scott Roberts, PhD, is a Professor of Health Behavior and Health Education at the U-M School of Public Health, where he directs its certificate program in Public Health Genetics and co-directs a dual master’s degree program in Public Health and Genetic Counseling. Dr. Roberts conducts research related to health education and support services in AD and has served since 2001 as Co-PI of the NIH-funded REVEAL Study, a NIH-funded series of randomized clinical trials evaluating the impact of disclosing genetic risk information to individuals with a family history of AD. Prior to coming to U-M, Dr. Roberts served as Co-Director of the Education Core in the NIA-funded Boston University Alzheimer’s Disease Center. He now directs the MADC Outreach, Recruitment and Education Core. Associated with the MADC for many years, Dr. Barbas is Associate Professor of Neurology and Director of the Cognitive Disorders Clinic at the University of Michigan Health System. She has been on the faculty of University of Michigan Medical School and Health System since 1991. Dr. Barbas’s clinical interests include cognitive disorders in adults, such as Alzheimer’s disease and related dementias, and general geriatric neurology. She is active in clinical trial research for treatment development for Alzheimer’s disease and other dementias. She actively trains the next generation of professionals, teaching them state-of-art dementia care techniques and research skills. She has published articles and chapters on dementia topics. Nan has spent the majority of her years in higher education in Ann Arbor, Michigan obtaining Bachelors of Arts (BA), Masters in Social Work (MSW), and Doctor of Medicine (M.D.) degrees from the University of Michigan. She continued her training at Tufts New England Medical Center in Boston completing a Neurology Residency and a Neuro-ophthalmology Fellowship. Dr. Ilardo is the Director of the Research Initiatives at the Michigan State University College of Human Medicine’s Office of Research and the Co-Director of the Geriatric Education Center of Michigan. As the Executive Director of the Michigan Aging Education Collaborative she interacts with all the major players in the aging network throughout Michigan on a regular basis. She currently has a leadership role in several statewide initiatives related to sustaining and scaling up evidenced-based educational programs in self-management (Stanford CDSMP model), caregiver training (dementia), and advance care planning. As a member of the Michigan Commission on Services to the Aging, she serves on a 15-member commission that oversees Michigan’s implementation of the Older Americans Act through the state aging unit (Michigan Aging and Adult Services Agency) and has access to government officials and legislators involved in aging policy and services in Michigan. Renee is responsible for assisting in the planning and implementation of Core activities at the MADC and in the community. She is responsible for providing education and support for those with dementia, maintaining the MADC blog and other social media outlets, recruiting for MADC supported studies, and exploring opportunities for programs that blend education and wellness. Renee has nearly ten years of experience in dementia care, education, and support in the long term care setting. She earned her Bachelor’s degree in Health Science with a minor in Psychology from Grand Valley State University and her MBA in Healthcare Management from Southern New Hampshire University. Holly Bunker is the MADC Outreach and Recruitment Coordinator. Holly has a B.A. in Psychology from Michigan State University and a Master's degree in Health Education from Wayne State University. She had most recently been working as a scheduler in the Pediatric Pulmonary Lab at Mott's Children's Hospital for the past few years. She also previously worked as a health educator at the Karmanos Cancer Institute. She currently lives in South Lyon with her husband and two daughters. 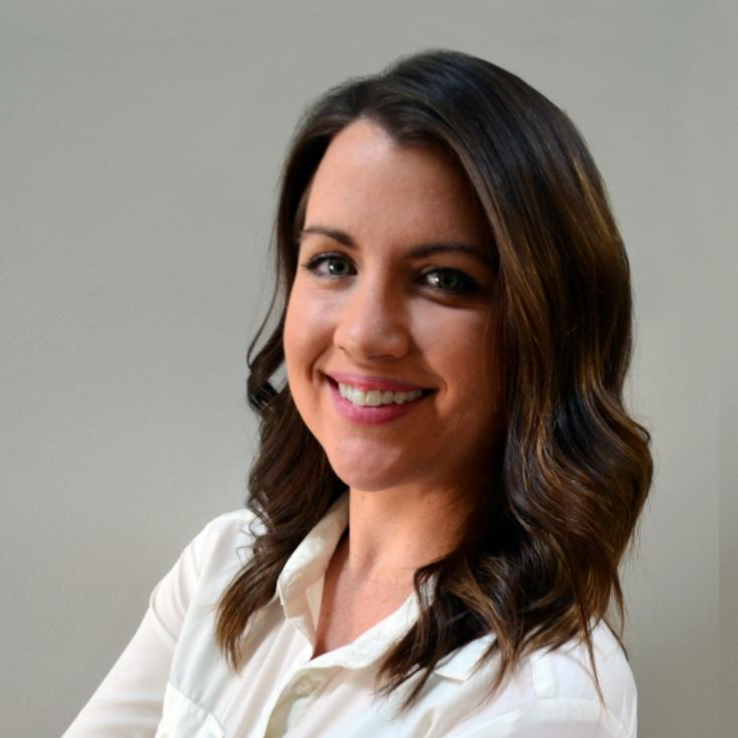 Holly will be responsible for recruiting and scheduling for MADC supported research studies, supporting the MADC REC Core, staffing information tables at MADC sponsored educational and health fair events, and assisting with the Lewy Body Dementia support groups. Since 2012, Laura has lead the Wellness Initiative for the MADC where she designs, implements and evaluates well-being and mindfulness-based programming for caregivers and adults living with dementia. Moved by family experiences with long-term illness and memory loss, Laura has worked in dementia care since 1994 in a variety of capacities. She was the first Director of the University of Michigan Geriatrics Center Silver Club Memory Loss Programs prior to serving as clinical manager of the Early Stage Initiative for the Los Angeles regional Alzheimer’s Association. She is a national and state presenter on memory loss and caregiver well-being and holds advanced professional certifications in aging, dementia and contemplative clinical care. Laura received her MSW from the University of Michigan School of Social Work. 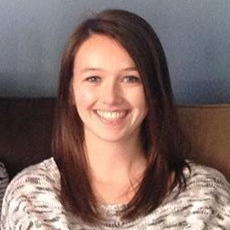 Erin Fox is the MADC Community Relations and Events Coordinator. Erin comes from a career in the food manufacturing industry. She brings a background in communications, marketing, and event planning from working with national brands like SUNSET Produce and Eden Foods. Passionate about health and wellness, Erin couldn’t be more excited to transition into the field of Alzheimer’s and dementia. 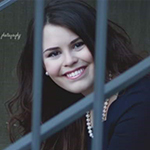 Erin graduated from the University of Michigan with a degree in Communication Studies. Erin will be responsible for coordinating the communications, planning and marketing of Center programs and events in the community. She will plan events for the center including health fairs, symposiums, and fundraisers, she will maintain media for the center including press releases, social media, website maintenance and newsletters, and she will create informational and marketing materials for the center. Dr. Lichtenberg is the Research Education Component Core Co-Leader of the MADC, the director of the Wayne State University Institute of Gerontology, and Co-Director of the Michigan Center for Urban African American Aging Research (MCUAAAR). He is an expert in Geriatric Psychology and a national leader in addressing health disparities in elderly minority populations. In his role at Wayne State University, Dr. Lichtenberg has founded the IOG pre-doctoral training program in aging and urban health, was the Principle Investigator on a National Institute of Aging training grant from 2001-2012, and has helped train nearly fifty doctoral students in an intensive aging research program. As the MADC Clinical Core Co-Leader, Peter has been instrumental in the MADC’s success with recruiting underrepresented minorities in Detroit. Kelly Mattingly, LMSW joined the MADC in 2017 as a support group facilitator for care partners of people living with Lewy body dementia. With a background in hospice, home health, and long term care settings, Kelly has nearly ten years of experience in dementia care. She earned her bachelor’s degree in Social Work from Western Michigan University and her masters from the Denver University School of Social Work in 2009. Kelly currently supports the Rinne LBD Initiative’s Ann Arbor, Brighton, and Southfield LBD support groups. 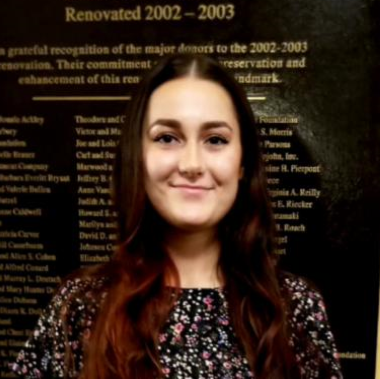 Liz Lakins joined the Center in Fall 2018 as an MSW intern. She is studying for her master's degree at Eastern Michigan University with a concentration in aging studies. She has practiced social work for five years in a skilled nursing setting. Liz loves working with older adults and hopes after graduation to practice psychotherapy with individuals living with dementia and at end-of-life with a strengths-based focus to help others identify their gifts. At the MADC, Liz will be working with the Carl Rinne Lewy Body Dementia Initiative team to develop programs, facilitate the LBD support groups and help with events. She will also work with the Wellness Initiative team on caregiver wellness programs and the UM Silver Club’s early memory loss groups. Liz’s two sons, Ben and Gabe, and her 91-year-old father, who she cares for, are the joys in her life. Led by Roger Albin, MD, and Co-led by Peter Lichtenberg, PhD, ABPP, the Research Education Component Core is dedicated to training and mentoring junior investigators. The REC Core hopes to foster career development in interdisciplinary dementia research and has developed a curriculum to educate junior investigators on dementia and dementia research. Associated with the MADC as the Research Education Component Core Leader, Dr. Albin is a Professor of Neurology at the University of Michigan. He held the title of Brain Bank Director at the University of Michigan from 1998 through January of 2016. In addition to caring for patients with cognitive disorders, he studies basic disease mechanisms and participates in human imaging studies seeking to improve our diagnosis of dementing disorders. He also performs research on brain chemical factors that influence the production of beta-amyloid, a key disease protein in Alzheimer’s disease. Dr. Albin is passionate about advancing disease knowledge so that we can treat patients better. He attended medical school at the University of Pittsburgh and received his Neurology training at the University of Michigan. Irving E. Vega obtained his undergraduate degree in Biology from the University of Puerto Rico-Mayaguez Campus, where he was a NIH-Minority Access for Research Careers (MARC) Fellow. Then, he continued his research training in the Department of Cell Biology and Neuroscience at the Graduate School of New Brunswick, Rutgers University, earning his PhD. Dr. Vega proceeded to a postdoctoral fellowship in the Neuroscience Department at Mayo Clinic Jacksonville, where he developed his research career focusing on the identification of proteome changes associated with the accumulation of pathological tau proteins in neurodegenerative disorders such as Alzheimer’s disease. As graduate student and postdoctoral fellow, Dr. Vega was supported by different fellowships including NIH-NRSA F31 and F32. In 2005, Dr. Vega established a research team as faculty member in the Department of Biology at the University of Puerto Rico-Rio Piedras Campus. In 2014, Dr. Vega transferred his research program to the Department of Translational Science and Molecular Medicine at Michigan State University. In addition to mentor graduate students that successfully completed their PhD, Dr. Vega also has dedicated his career to develop training programs for undergraduate students in order to increase diversity in the field of neuroscience. His dedication and commitment to mentor the next generation of researchers, especially those from underrepresented ethnic groups in science, is based on his own experiences and serve as the basis for a productive research career. Dr. Langa is a Professor in the Department of Internal Medicine and Institute for Social Research, a Research Scientist in the Veterans Affairs Center for Clinical Management Research, and an Associate Director of the Institute of Gerontology, all at the University of Michigan. He is also Associate Director of the Health and Retirement Study (HRS), a National Institute on Aging funded longitudinal study of 25,000 adults in the United States. Dr. Langa received an MD and PhD in Public Policy at the University of Chicago as a Fellow in the Pew Program for Medicine, Arts, and the Social Sciences. He is a board-certified General Internist with an active clinical practice treating adult patients, and he is an elected member of the American Society for Clinical Investigation (ASCI). Dr. Langa’s research focuses on the epidemiology and costs of chronic disease in older adults, with an emphasis on Alzheimer’s disease and other dementias. He has published more than 175 peer-reviewed articles on these topics. He is currently studying population trends in dementia prevalence, and the relationship of common cardiovascular risk factors, as well as acute illnesses such as sepsis and stroke, to cognitive decline and dementia. 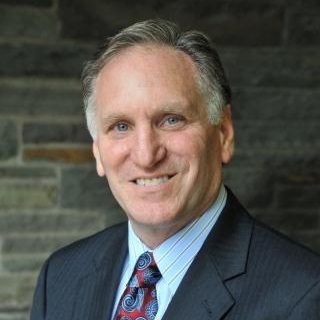 In 2007 and 2015, Dr. Langa was a Visiting Professor at the Institute of Public Health at the University of Cambridge, and in 2015 he was also a Visiting Professor at the World Health Organization in Geneva, Switzerland, where he continued work on cross-national comparisons of the epidemiology and outcomes of dementia in the United States, England, and other countries around the world. Dr. Alexander graduated from the University of Minnesota Medical School, Minneapolis and received a clinical research design and biostatistics master’s degree from University of Michigan. He completed his internal medicine residency at the University of New Mexico Affiliated Hospitals and a geriatrics fellowship at the University of Michigan. He is a past research fellow at the University of Michigan Institute of Gerontology. Dr. Alexander is board-certified in internal medicine and geriatrics. He has a special interest in exercise, mobility, falls and rehabilitation in older adults. He is the Director of the VA Ann Arbor Geriatric Research Education and Clinical Center. DeAnnah Byrd is a postdoctoral to faculty transition scholar at Wayne State University's Institute of Gerontology. Her research focuses on understanding racial disparities in cognitive health outcomes over the adult life course. In particular, Dr. Byrd examines trajectories of cognitive functioning among black and white adults in the United States who are as young as 25, with the goal of teasing apart the psychosocial factors that contribute to these disparities, as well as identifying the optimal time in the life course to intervene. Dr. Byrd received her BS in Biology and MS in Population Health Sciences from the University of Wisconsin, Madison, before participating in a Population Health fellowship at the same university. Dr. Byrd completed her PhD in Community Health Sciences in the Fielding School of Public Health at the University of California, Los Angeles. 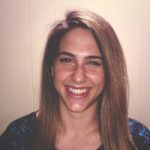 Julia E. Gerson, PhD is a post-doctoral fellow at the Paulson Laboratory, located within the Department of Neurology at the University of Michigan. Her work focuses on defining the role of a key quality control protein, UBQLN2, in the age-related neurodegenerative disorders known as synucleinopathies and tauopathies. Dr. Gerson’s work investigates how UBQLN2 interacts with tau and α-synuclein to regulate their levels in disease using cell culture and novel animal models. These studies are expected to yield new insights into the role of UBQLN2 in common age-related neurodegenerative diseases that will suggest routes to therapeutic intervention. Dr. Gerson received her BS in Psychology and Biology from Arizona State University, Tempe, AZ and her PhD in Neuroscience from the University of Texas Medical Branch, Galveston, TX. 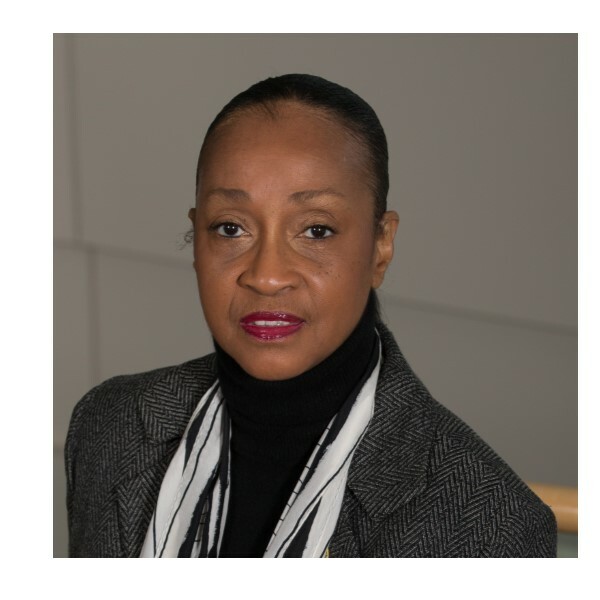 Lenette M. Jones, PhD, RN, ACNS-BC is an Assistant Professor within the Department of Health Behavior and Biological Sciences at the University of Michigan School of Nursing. Dr. Jones’ research is focused on uncovering the mechanisms – biological, psychological, social, and physical – of self-management interventions. 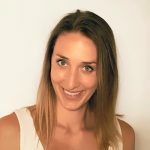 She uses neuroimaging (fMRI) to explore the neuroprocesses associated with self-management behaviors, such as diet, exercise, and medication-taking. She also examines how health information behavior (seeking, sharing, and use) can be enhanced to support blood pressure self-management. 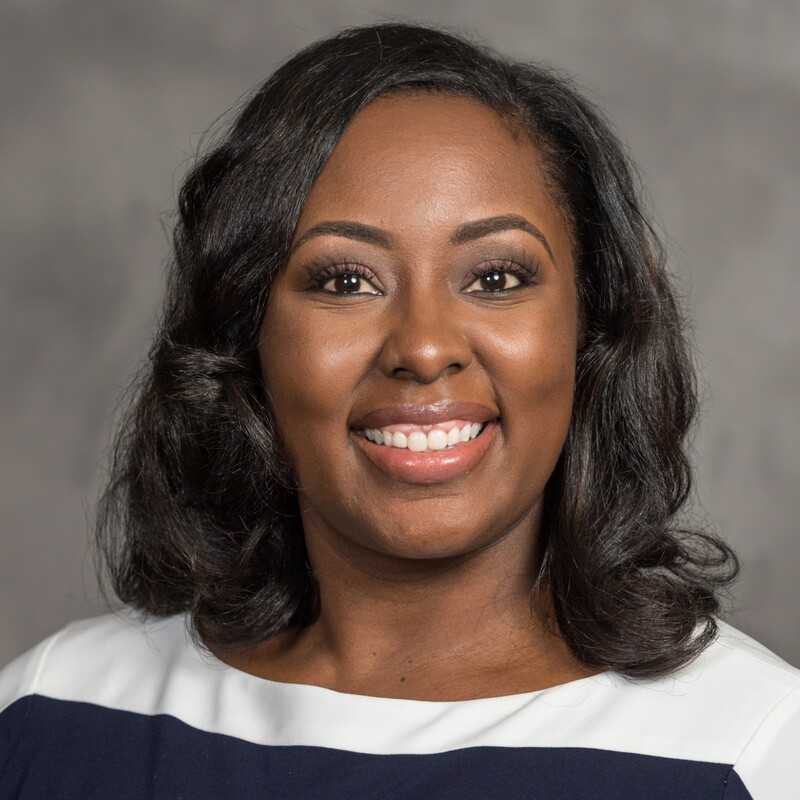 In her current studies, Dr. Jones is designing and pilot-testing interventions to improve self-management of blood pressure among African American women. Dr. Jones received her BS, MS, and PhD in Nursing from the University of Michigan, Ann Arbor, MI. 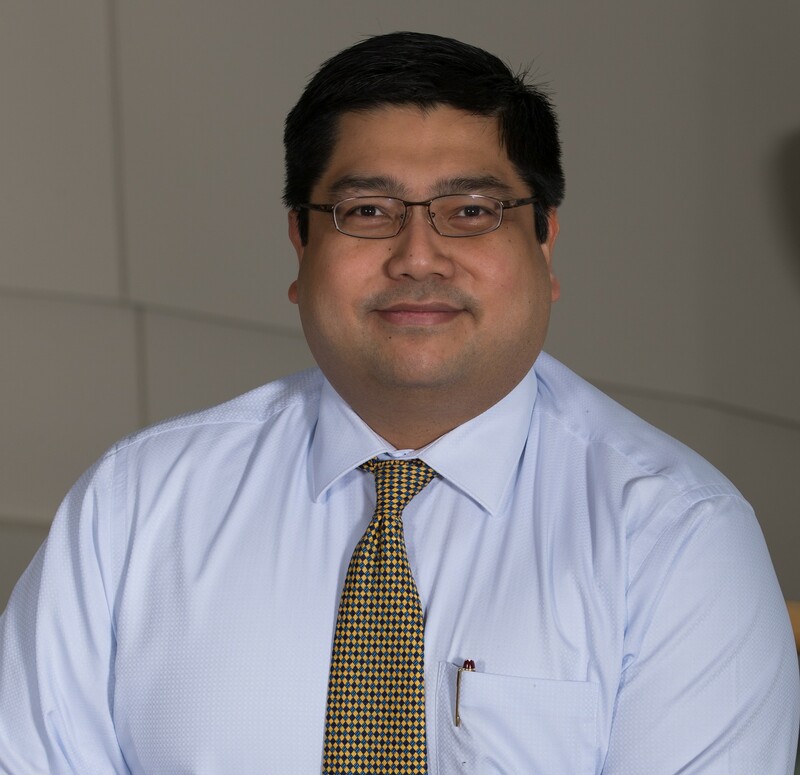 Rohit Marawar, MD, is an Assistant Professor of Neurology at Wayne State University. Dr. Marawar’s expertise and training is in the field of epilepsy. Recently, he transitioned his focus into hyperexcitable brain networks in cognitively normal and abnormal elderly – including those with Alzheimer’s disease and related dementias. 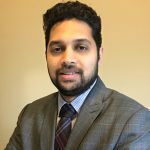 Dr. Marawar contributed to the development of the Geriatric Epilepsy Clinic at Wayne State University-Detroit Medical Center, and long-term, hopes to play a leading role in the field of geriatric epilepsy and neurodegenerative disease. Dr. Marawar obtained a Bachelor of Medicine / Bachelor of Surgery from the Government Medical College and Hospital Nagpur in Maharashtra, India. Dr. Marawar’s postgraduate training includes Neurology residency at Albany Medical Center, Albany, NY and a Clinical Neurophysiology / Epilepsy fellowship from the David Geffen School of Medicine at the University of California, Los Angeles. 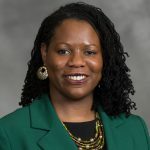 Sheria G. Robinson-Lane, PhD, RN is an Assistant Professor in the Department of Systems, Populations and Leadership at the University of Michigan School of Nursing. Dr. Robinson-Lane has focused her career on the care and support of older adults with cognitive and/or functional disabilities. She is interested in the ways that older adults adapt to changes in health, and particularly how adaptive coping strategies affect health outcomes. Her research is focused on reducing health disparities for minority older adults with cognitive impairments and their caregivers. Dr. Robinson-Lane received her BSN from the University of Wisconsin, Oshkosh, WI, her MSN / MHA from the University of Phoenix, Phoenix, AZ, and her PhD from Wayne State University, Detroit, MI. Dr. Robinson-Lane conducted her post-doctoral fellowship at the University of Michigan Medical School, Ann Arbor, MI.